I learned to make brisket from my Mother-in-Law Ruth. We always had pot roast when I was a kid. I love this dish immediately; with it’s beefy flavor and tenderness. I’ve made many different versions over the years, and this slow-cooked brisket in red wine is simple and classic. The slow cooker is my best friend over the colder months. 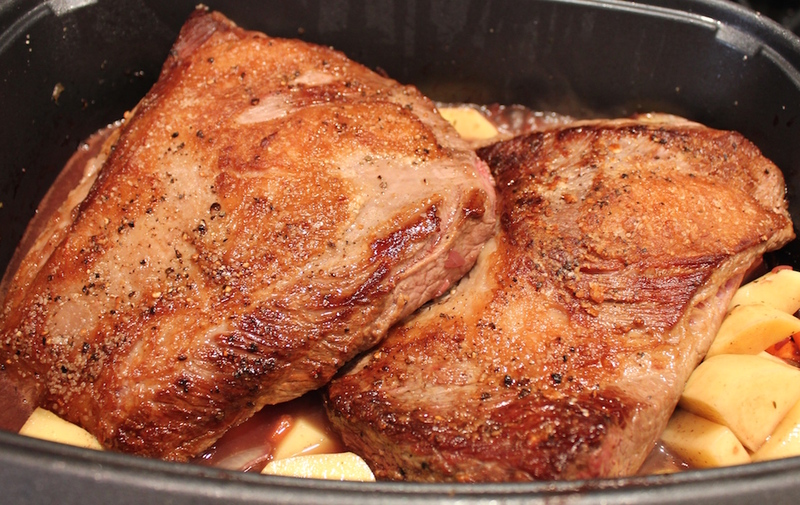 A braise cooks low and slow and fills the house with a wonderful savory aroma. 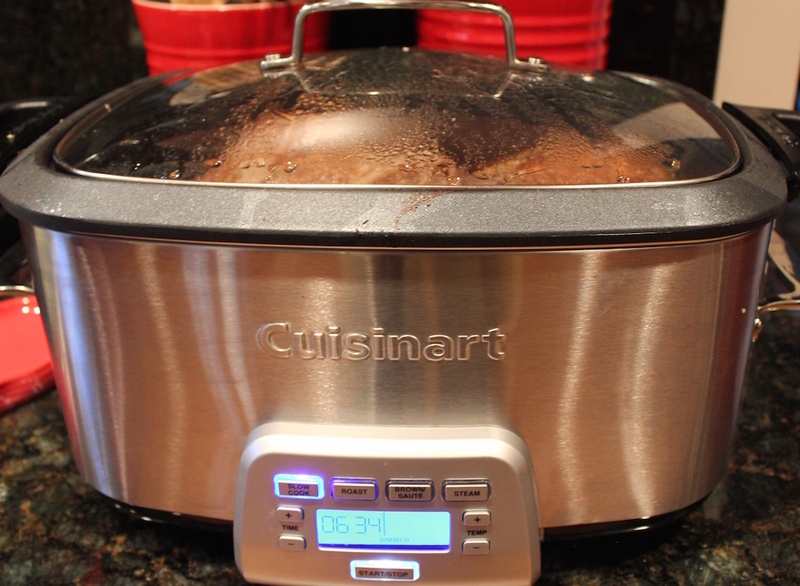 A large 7-quart slow cooker makes enough for leftovers for or the freezer. This recipe is best made in advance. 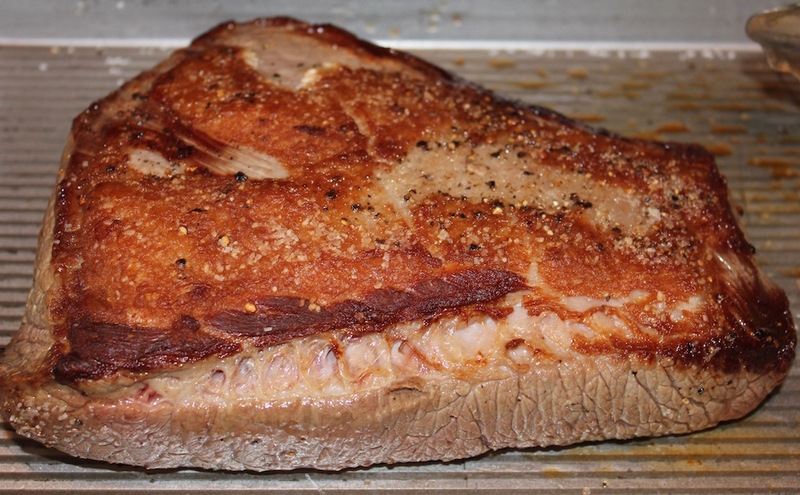 Cook and chill overnight, then defat the brisket by scraping the solid fat off the top. 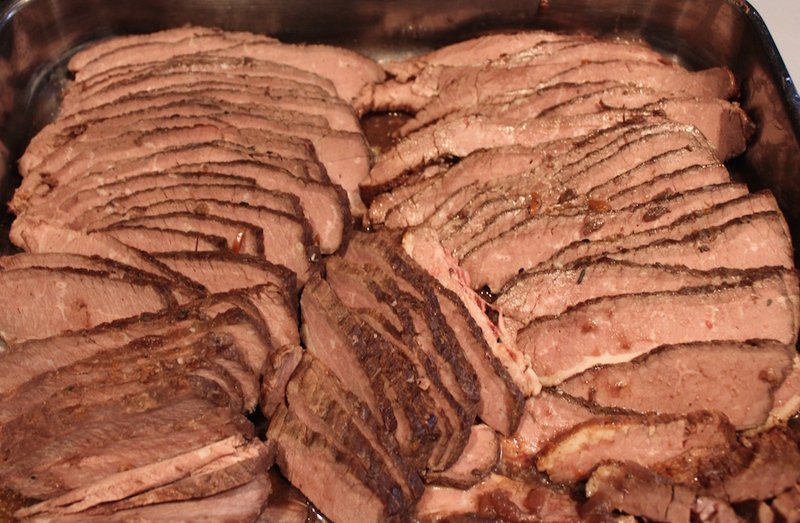 Slice the brisket and put into a roasting pan and cover with the sauce and vegetables. To freeze, place the vegetables in a self-sealing freezer bag, wrap everything tightly, and pop into the freezer. Cook the meat from a frozen state. Thaw the vegetables and add for the last 30 minutes cooking time. Line up all your ingredients and tools. Since first writing this post, I’ve stopped browning meat. I find it’s an unnecessary messy step. 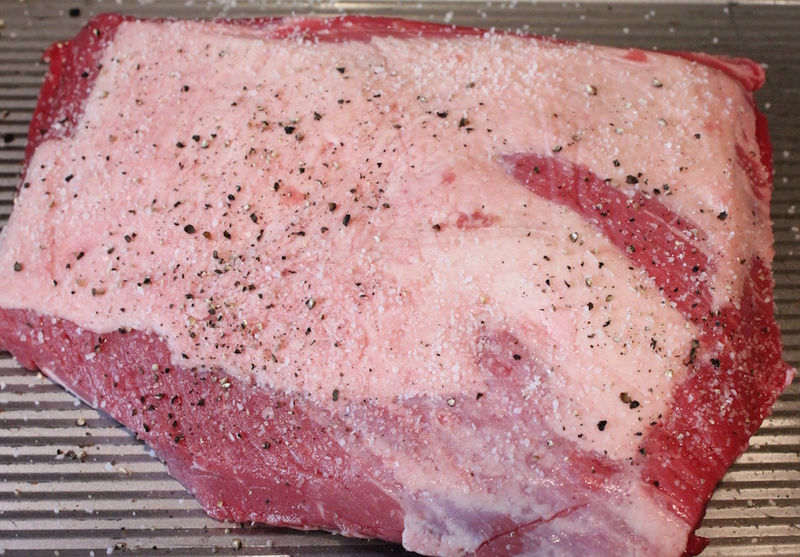 Place the brisket on a tray or plate and season both sides with salt and pepper. Heat the oil in a 7-quart Dutch oven or stovetop-proof slow cooker insert over high heat. Add the brisket, fat side down and sear for five minutes. Flip it over and sear another five minutes. Return to the tray. I am using two 2 1/2 pound cuts and repeated the process. Don’t hesitate to set the timer to remind you when to turn the meat. If this is a term you aren’t familiar with, it means everything in its place. To cook efficiently, it’s best to have all the prep work done in advance. No missing items and no last minute scrambling to chop something in the middle of cooking, which creates a calmer work environment. Add the onions, celery, carrots and garlic to the pan with the meat juices, stir and sweat for five minutes, stirring once halfway through. Stir in the herbs. 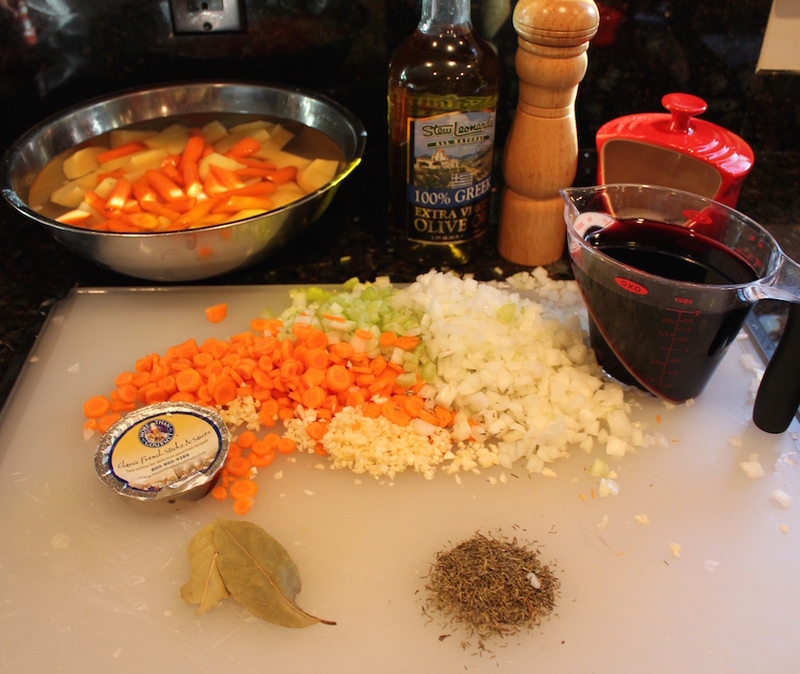 Pour in the wine and stock and bring to a boil for 10 minutes. This reduces the wine a bit and intensifies the flavor. Stir in the carrots and potatoes. Lay the brisket on top of the vegetables. Don’t forget those meat juices – pour them in! Cover with water or stock until halfway up the meat. Do NOT cover the meat with liquid. 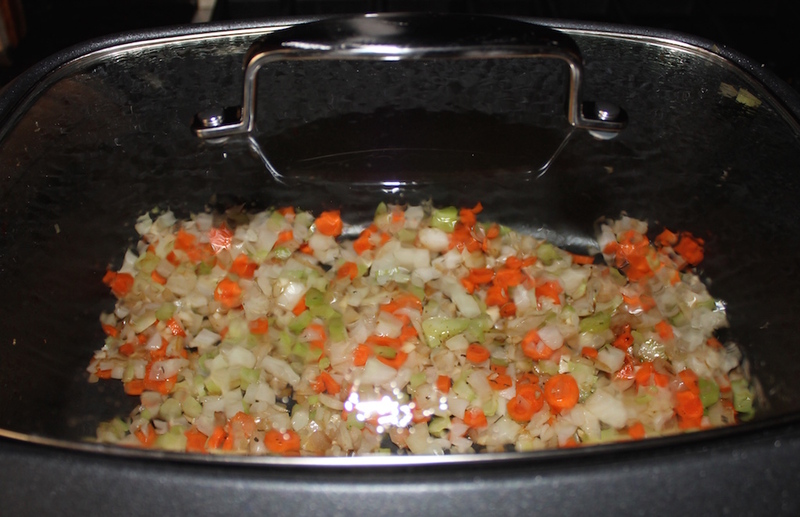 Slow cooking is all about an exchange of flavors between the vegetables and the meat in the cooking liquid. Both exude juices throughout the cooking process. Too much water results in a thin, weak sauce. Have patience and let the slow cooking process work to make an intensely flavored and tender dish. Set at a simmer for eight hours. The key to slow cooking is low and slow. 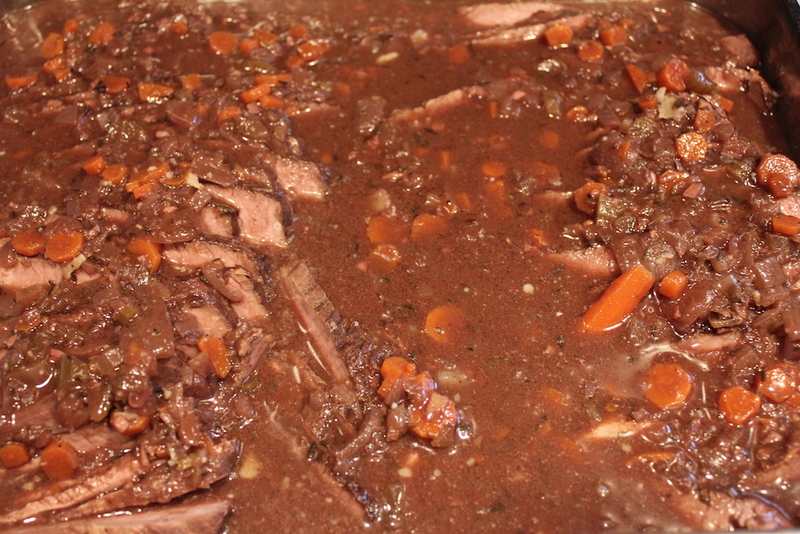 Low temperature, a very gentle simmer, just a few bubbles here and there, and slow cooking time. This method keeps the meat moist. Cool the brisket and refrigerate overnight. Remove the hardened fat by scraping a spoon across the top. This was a particularly lean brisket, very little to remove. 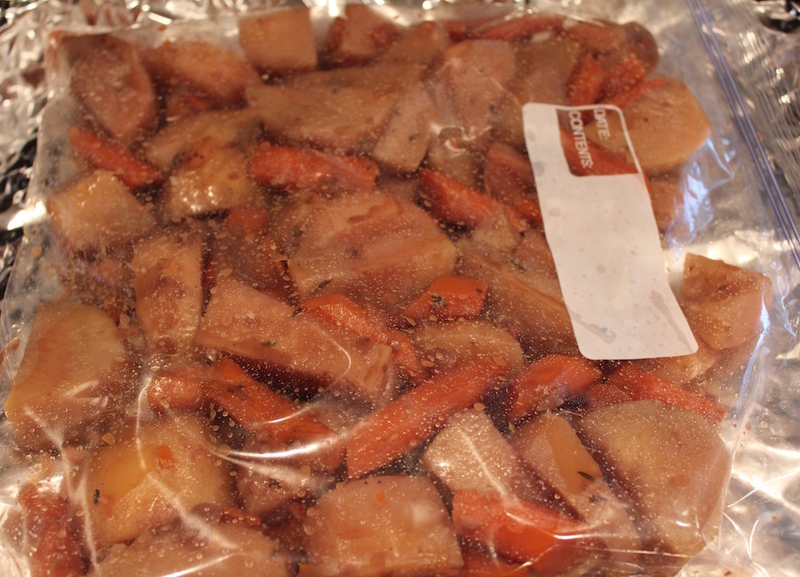 Remove the potatoes and chunky carrots to a plastic bag and seal tightly. Thinly slice the brisket on the bias. 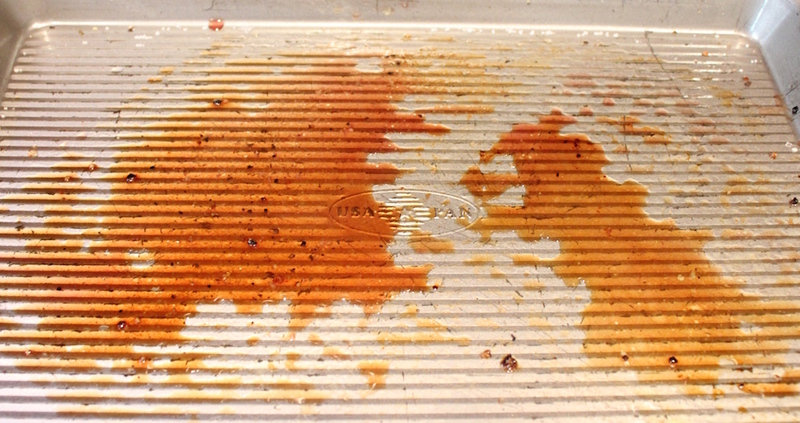 Pour a couple of ladlefuls of sauce in the bottom of the pan. 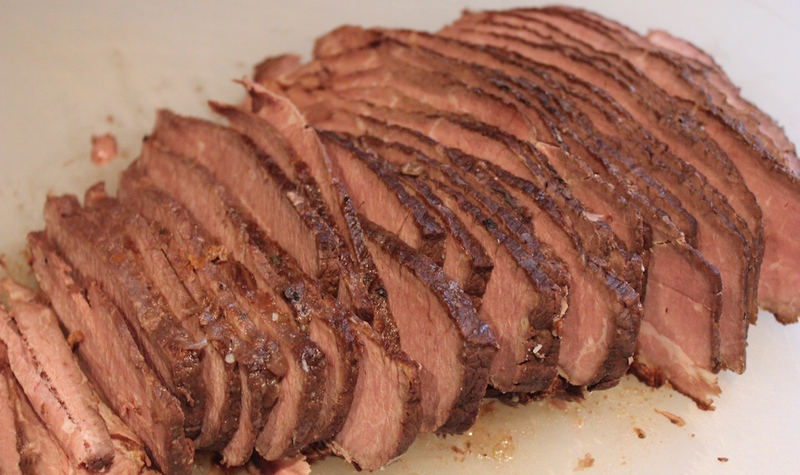 Lay the sliced brisket on top. Cover the with the remaining sauce and vegetables. Separate the vegetables from the meat if you are freezing. 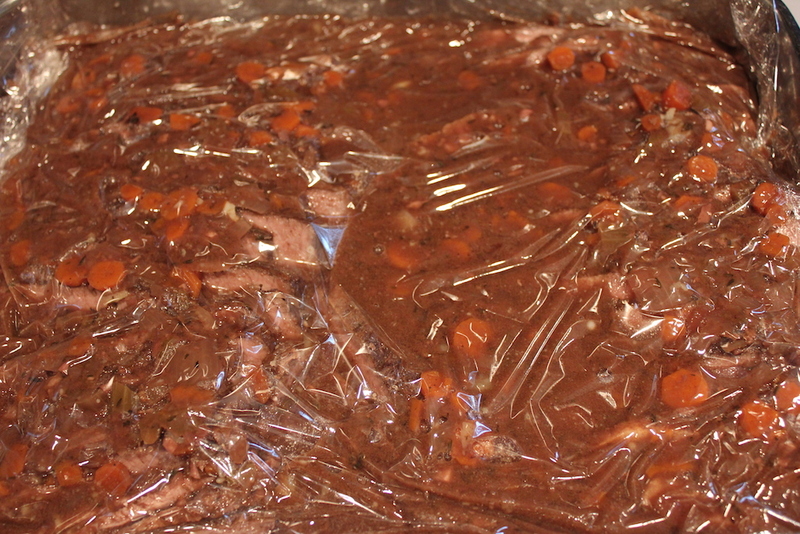 Place a sheet of plastic wrap directly on top of the brisket to prevent oxygen from getting to it. Cover with foil the same way. Then lay the plastic bag of vegetables on top. Cover tightly with foil and freeze. 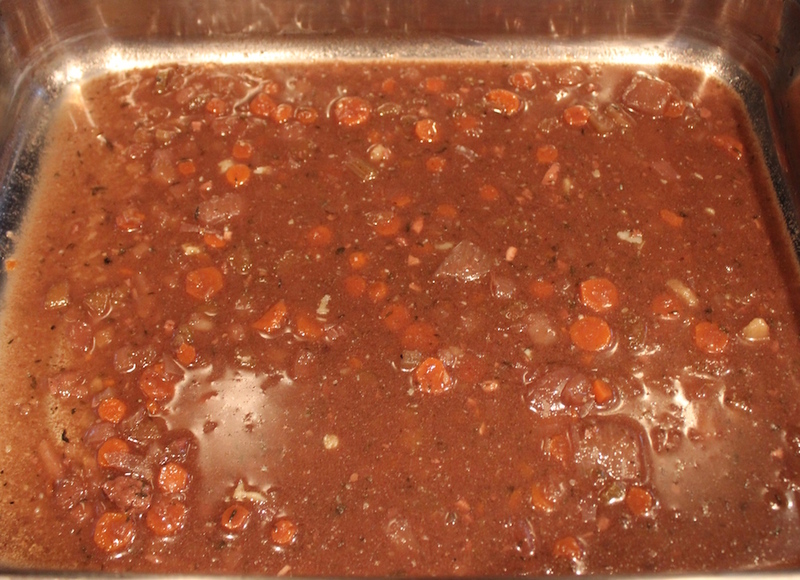 From the Refrigerator: Preheat the oven to 400ºF and roast for 40 minutes, or until the gravy is bubbling. From the Freezer: Preheat the oven to 400 degrees F and cook for 1 hour. 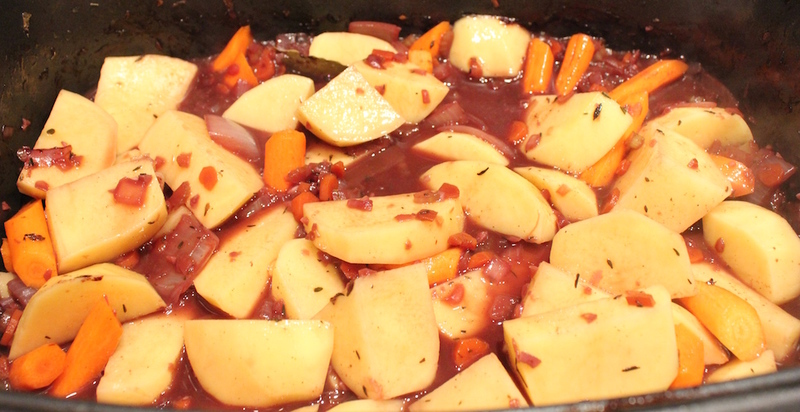 Stir in the vegetables and continue cooking for 20 minutes more, or until the gravy is bubbling. 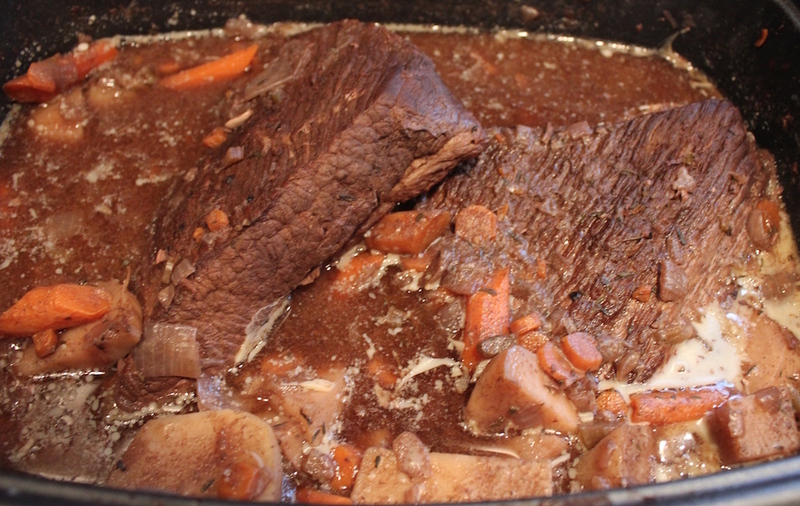 A delicious slow-cooked brisket is great anytime. Make ahead and freeze for a special occasion. Note: Line up all your ingredients and tools. Since first writing this post, I’ve stopped browning meat. I find it’s an unnecessary messy step. Set at a simmer for eight hours. The key to slow cooking is low and slow. 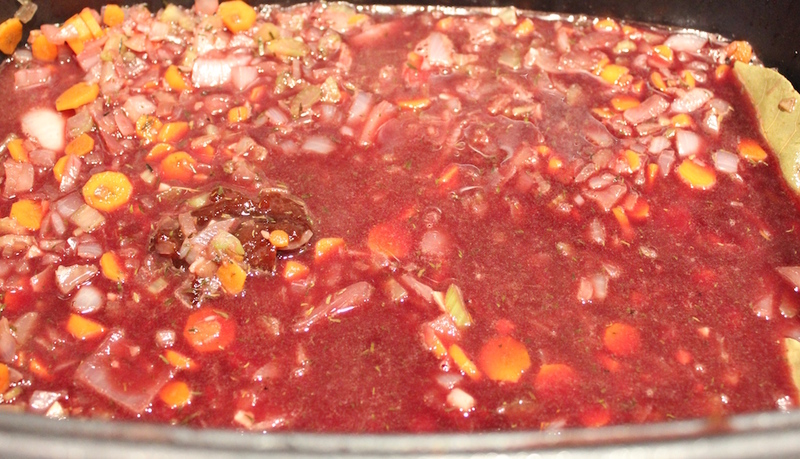 Low temperature, a very gentle simmer, just a few bubbles here and there, and slow cooking time. This method keeps the meat moist. If this is a term you aren’t familiar with, it means everything in its place. To cook efficiently, it’s best to have all the prep work done in advance. No missing items and no last-minute scrambling to chop something in the middle of cooking, which creates a calmer work environment.